News TV Channel / Capital Broadcast Center is a satellite television channel in Egypt that began in July 2011. The "general entertainment free-to-air channel" is owned by Mohamed Al-Amin. 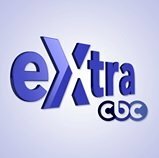 CBC Extra is a channel that is specializing in live coverage of events and current affairs. It covers Arab and international developments.